Welcome to Episode 54 of the Minstral Show! 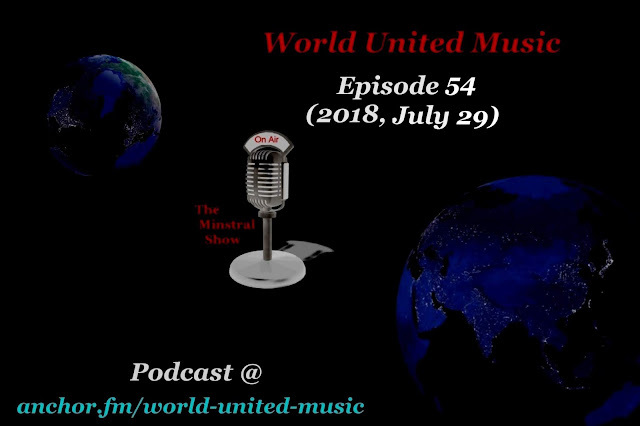 The Minstral Show is a unique music radio program that not only plays the best music from the mp3 age, circa the year 2000 to present, it also offers a level playing field for Signed, Unsigned and Independent artists by showcasing great songs…it’s a show like no other. With that said, todays episode features: Creed, Seventh Epic, The Fixx, Robert Plant, Clay Rose, The Naked Hearts, The Inflictors, Vintage Trouble, Metropolis, Paul Cusick, Steve Wynn and Muse. Buckle up because there’s more great energetic rock heading your way.